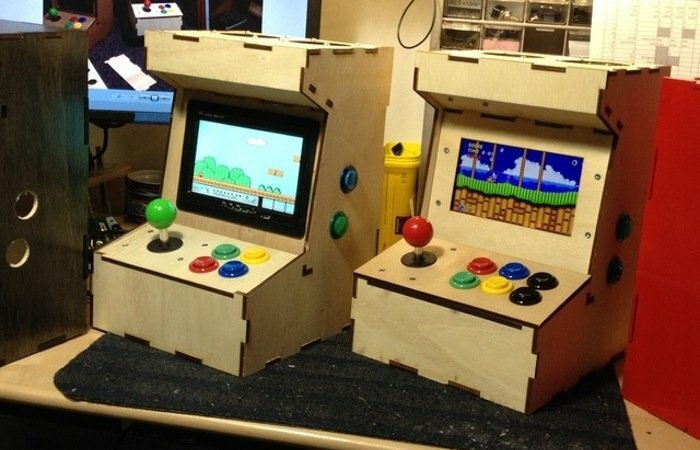 Raspberry Pi fans that also enjoy a good video game session are sure to enjoy this awesome Porta-Pi Raspberry Pi mini arcade cabinet, which has been designed by Ryan Bates. The Raspberry Pi mini arcade cabinet is available to purchase as a kit offering just the laser cut wooden shell for you to add all the extra components to or as a full kit which provides everything including 7 inch screen, joystick and buttons. Ryan explains a little more about his Raspberry Pi mini arcade cabinet : “You get a well engineered kit that turns your Raspberry Pi into the complete arcade experience in a mini-sized, customizable, and hand crafted DIY arcade cabinet. Enjoy all the classic games in the form they were meant to be played on, built by you, customized by you, with all the head-aches engineered and solved by me. The Porta-Pi Raspberry Pi mini arcade cabinet project is currently over on the Kickstarter website looking to raise enough pledges to make the jump from concept to production. So if you think the Porta-Pi arcade cabinet is something you could benefit from, visit the Kickstarter website now to make a pledge and help the Porta-Pi become a reality.